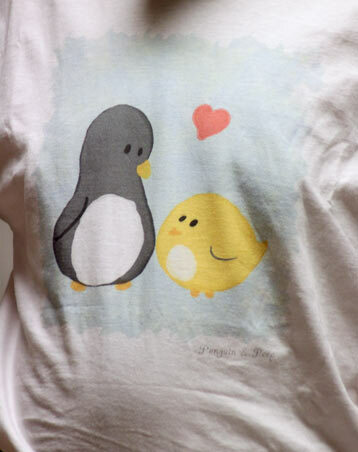 More artist Monica Bruenjes' super-adorable Penguin & Peep goodness – this time in form of a T-shirt. The shirt was a pledge tier reward in the Penguin & Peep! Little Moments Kickstarter and you know me – I can't resist penguin apparel! 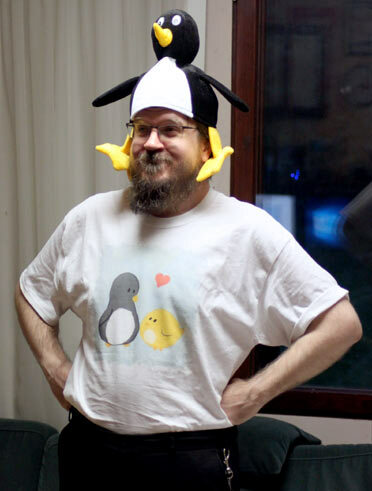 By the way, the shirt was photographed during the same session as the recent penguin hat. Here's the full attire – how's start for a smart outfit?